Rug Restoration by Sam Ruiz At Rugs & More. Antique Serapi chewed by a new poppy and restored to perfection. As oriental rugs age, repair becomes an important part of their regular maintenance. Whether your rug has been slowly unraveling throughout the years as a result of high foot traffic or it has been damaged overnight by a teething dog and your cat scratching on the carpet. It’s extremely vital to repair any damaged areas to keep them from getting worse. We have our in house master weaver and restorer working on site in our store, who does all repairs by hand – never by machine – using hand spun wool in all colors to preserve the natural and unique look of your rug. Oriental rugs are known for there durability and these collectibles quickly become family treasures that can be passed down from one generation to the next. Through out the years rugs may have fadings from the sun or show wear spots from foot traffic. When restoring your Persian and Oriental rug, our team of professionals accurately duplicate the materials and construction of the original piece. Our team work patiently on your rugs using their skill, knowledge, and expertise to replace fibers, repair fringe, rebind edges, cut out and replace sections, dye or tint to restore your rug as closely as possible to its original beauty. We treat your rugs as floor art and take care of them as such. At Rugs & More we walk you through and discuss thoroughly the processes we recommend to repair your rug, and make suggestions to avoid future damages from occurring. 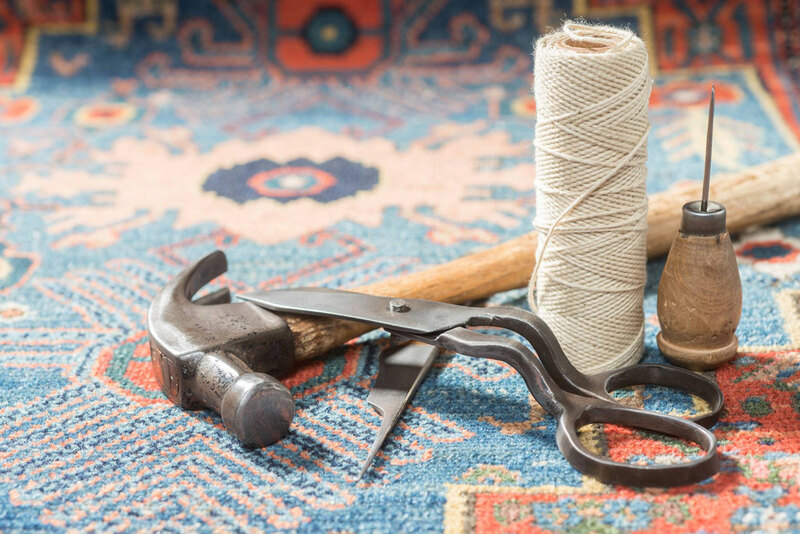 Using only the very best craftsmen , we specialize in a traditional hand rug repair service for Persian, Afghan, Kilim, Turkish, Silk and Antique rugs, carpets, runners and tapestries. 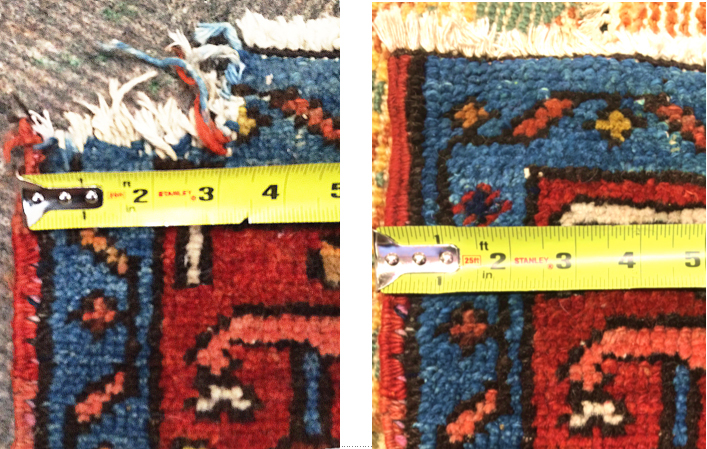 From small new rug repairs to a full antique Persian carpet restoration service, we offer the complete service.